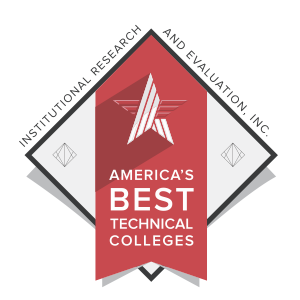 Stanbridge College has been recognized as one of America’s Best Technical Colleges ® for the fifth consecutive year, based upon the student loan default rate for the Federal Family Education Loan (FFEL) Program and the William D. Ford Federal Direct Loan Programs compiled by the U.S. Department of Education. Institutional Research & Evaluation, Inc. is an independent research and consulting organization specializing in the recruiting and retention of students for institutions of higher education. Each year it identifies accredited colleges and universities that offer exceptional educational opportunities. Below are the default rates for 2009 to 2013. Founded in 1996, Stanbridge College offers specialized degrees at the Master, Bachelor, and Associate levels in the fields of Nursing and Allied Healthcare. Stanbridge is based in Irvine, California with an annual enrollment of over 1,200 students. For each year from 2009 through 2014, Stanbridge has been named to the President’s Higher Education Community Service Honor Roll, the highest federal recognition a college or university can receive for its commitment to volunteering, service-learning, and civic engagement. Stanbridge College is a 2014-2015 School of Excellence Award Recipient from the Accrediting Commission of Career schools & Colleges (ACCSC), and has received an award from Institutional Research & Evaluation, Inc., as one of America’s Best Technical Colleges for each year from 2009 through 2014. From 2013-2014, Stanbridge College OTA graduates achieved a 96% average annual NBCOT-COTA pass rate. From 2007-2014, its Vocational Nursing graduates have achieved a 91% average annual NCLEX-PN pass rate. Its Hemodialysis Technician students achieved a 95% two-year average annual CDC CHT exam pass rate. For more information, please visit www.stanbridge.edu or call (949) 794-9090. About Institutional Research & Evaluation Inc. Since 1989, IR&E, Inc., based in Rome, Georgia, has annually produced listings of outstanding colleges and universities nationwide, both public and private, in a variety of categories including America’s 100 Best College Buys ®, America’s Best Christian Colleges ® and America’s Best Small Colleges ®.